HomeHealthMost PopularLusting after celebrity eyebrows? This will make you think again! 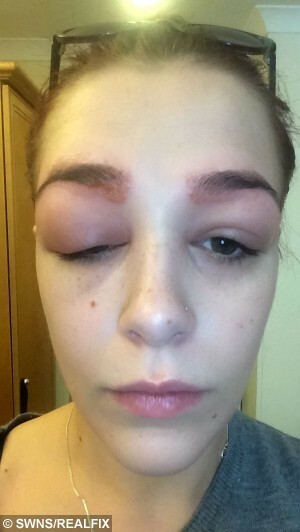 A teenager fears she has been left permanently scarred after she had a severe allergy to an eyebrow tinting treatment which left her eyes swollen SHUT. Polly Smith, 19, had the popular HD Eyebrow Treatment in the hopes of having thick eyebrows like her fashion idols. 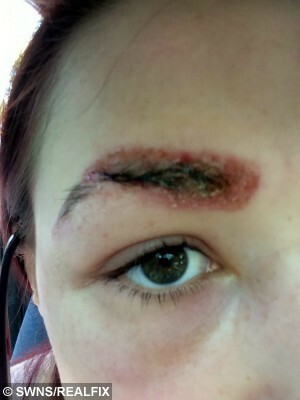 But she was horrified when just hours after the £35 dye, waxing and threading treatment, her eyebrows got itchy and red. The next day she woke up to find she could barely open her eyes – with one swollen totally shut – and her eyebrows had turned yellow and “scabby” due to an infection. Medics diagnosed a severe allergic reaction to the dye and said she could be scarred for life, and now weeks later her eyebrows have started to fall out. The dance student from High Wycombe, Buckinghamshire, is warning young women to be wary of the treatment, which has left her self conscious. Sales assistant Polly said: “I’ve been emotionally disturbed by it. “It was horrible. One day I would be ok and kind of be able to laugh about it but then I would break down in tears. “I had to hide away from everyone. It totally scabbed up and pulled lots of hairs out. “I had the treatment to get nice pretty eyebrows and now they are patchier than ever. “I’m still quite self conscious about it. I felt like everyone is just looking at me. Polly popped into a salon in High Wycombe to pick up a patch test two days before her appointment, and had no reaction at all. During the treatment she had dark dye applied for around ten minutes, before it was wiped off and her brows were waxed and threaded. She was initially delighted with the results and had no reaction until the next day when her eyebrows started to turn “red and bumpy”. It got steadily worse until her eyelids started to swell up, and she went to bed hoping sleep would help. 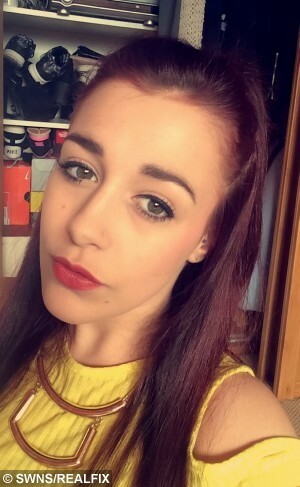 But when she woke up – three days after the treatment – she could barely open her eyes and a friend drove her to Wycombe Hospital minor injuries unit. “It was horrible and so painful and I looked like I had been punched in the face,” she said. She was prescribed 15 tablets a day – a mix of antibiotics, steroids and anti-histamines – and had to have time off work before returning to back room duties. Polly marched straight to the salon, where she claims she was given a £35 refund – plus £20 to cover her prescription – but staff said correct procedures were followed. “They said they had never seen anything like it”, added Polly. “Doctors have said I could be permanently scarred. Being a performer if my face is disfigured, it is going to impact me at auditions.